Enter a Credit Card or Paypal to Try it Now! Discounts for students and teachers with valid credentials. How does a Webydo plan work? All plans include hosting and a Content Management System (CMS) for you and your clients, along with a basic level of support. There is an incremental increase in the level of support and features you receive with each subsequent plan. Enterprise is a custom solution for your business so please call us to discuss what suits you best. 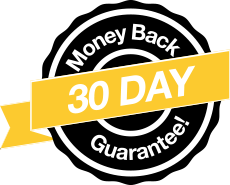 After 30 days you'll be automatically charged for the next month of service on your respective plan. Please make sure to contact us if you don't want to be charged, and we'll turn off the auto renew function. Note that any sites that you have connected to a domain name will be taken down if you choose to turn off the auto renew function. Is there a free month for the Team and Agency plans? Yes there is. Simply select the Team or Agency plan when you are ready to sign up for your free month. Under those trials you will be able to test all of the features associated with your respective plan. Sign up and enjoy all of Webydo's features for 30 days. 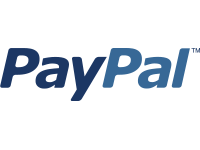 A credit card or paypal account is required for registration; however, you will not be charged for the first 30 days, and you can cancel at any time. You will have the option to attach a custom domain name during the first 30 days, so Google can start to index your site. Looking for a plan that complements your business goals? What is a “Designer Account”? A “Designer Account” is the person associated with the account. Plans with more than one user allow you to add seats through the Webydo Dashboard. These seats enable a number of users to work at the same time but not on the same site simultaneously. If you wish to add more seats to your plan, you may choose to upgrade to another plan or contact us for custom options. A “Site” is defined as any new website that you create in the Dashboard, regardless of its status as being published or being on Webydo’s subdomain (e.g. yoursite1234.webydo.com) versus your own domain. If you need additional sites, you may upgrade to another plan from the Dashboard or contact Support. Do users have the ability to switch plans? Absolutely. You can switch to any plan directly from the Webydo Dashboard. For any other changes or to hear about our current promotions, please email your account manager or support@webydo.com. What happens when a plan ends? Auto-renew is the standard setting for all plans. Choosing to turn off​ auto​-​renew means that you need to manually renew your plan - websites made during this plan will be taken down at the end of the subscription. Please contact us directly at support@webydo.com to change your subscription preference. White Label refers to rebranding the interface of the Webydo Dashboard and all client assets such as their login screen and CMS, with your brand identity. You are also able to publish sites under your own domain name. White Label site code takes rebranding one step further, removing all “Webydo” references from the HTML code on published sites. What is the Customer Template Generator? This feature empowers users to be proactive and create a collection of ready-made templates for their own clients to browse, purchase and edit as their own, independently, on your domain. You may choose any template and assign a user account type (basic CMS user or CMS user with full design abilities) upon which, a code is generated that you are able to embed onto a website. When a customer purchases one of your templates, a duplicate is created inside the Dashboard and that client enters through a branded login window. All login information that person enters will be sent to your email. What is Add Code to Site? This feature allows you to add your own HTML and CSS to any section or page on a Webydo site for a more customized experience. Give us a call at +1-800-705-0316.